#Microsoft365 #Office365 The vision for “Working from anywhere, on any device, at any time – for everyone” becomes real when integration and transparency takes place. No longer do we have to navigate to different apps and browsers to achieve what we need. You’ll start seeing more and “more magic, right there, where you’re working, without going anywhere”. Now THAT’s a vision if you ask me. Let’s take a look at #MicrosoftFlow Integration, right there in #OneDrive. The ability to create Flows, right there from OneDrive in Office.com was launched in October 2017. You might not have noticed it, but I did. So let’s take a look. 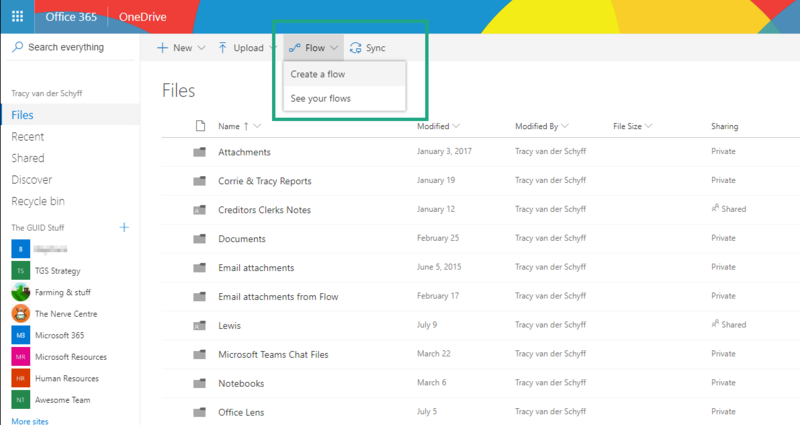 When you click on Create Flow, you’ll see Flow Templates relevant to Flows for OneDrive. Pretty cool if you ask me. 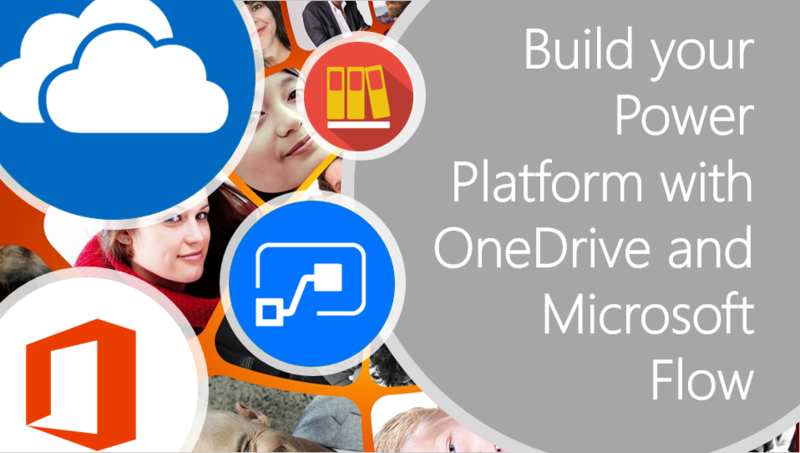 Microsoft is making it relevant and giving us a consistent UI across #Office365.